Family of soldier believed killed in 2014 Gaza conflict whose body has been held by Hamas demands release of evidence of his death. The family of an Israeli soldier believed killed in the 2014 Gaza war and whose body is being held by Hamas filed a lawsuit in the Supreme Court to see the evidence that led the army to declare him dead. The family of Oron Shaul had asked the army two months ago for the information. Their request was denied. The lawsuit filed Monday names the Israel Defense Forces’ chief of staff, Gadi Eisenkot, along with the army’s head of personnel and chief military rabbi. It says the fact that the military will not let the family see the file shows that he was declared dead after pressure was put on the military authority charged with determining the death of soldiers, Israeli media reported. 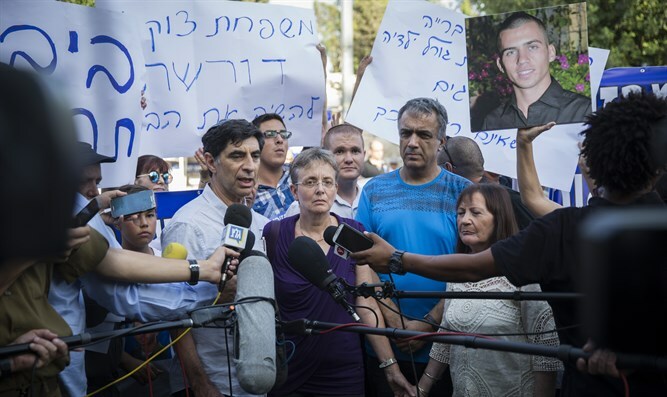 The family has worked tirelessly for the repatriation of Shaul’s body, as well as that of Hadar Goldin, who also was taken by Hamas during Operation Protective Edge in the summer of 2014. Both soldiers were later declared dead by the Israeli government in consultation with religious and medical authorities. The soldier’s father, Herzl, died of cancer in September. He believed until his death that his son would be repatriated to Israel and would be found alive.